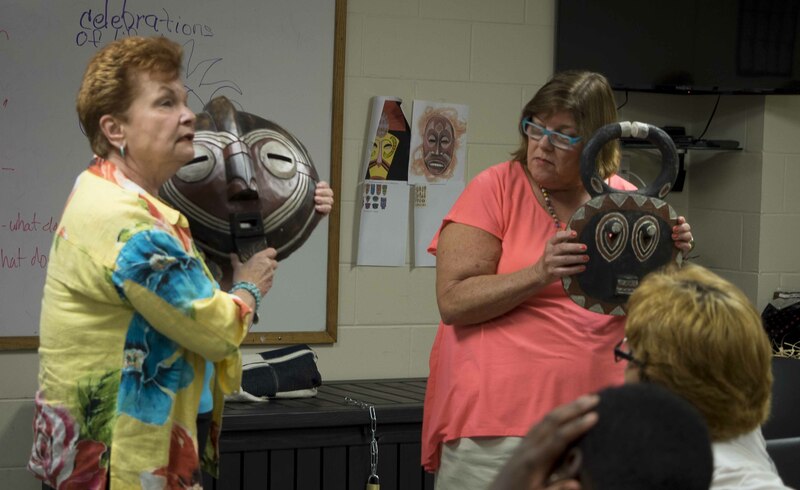 The Association of Florida Teaching Artists (AFTA is a 501c3 not for profit) was funded to present a two month arts program at Newtown Estates Recreation Department and the Salvation Army in Sarasota, Florida this summer. Two hundred-ten youngsters, grades K-8 participated. The focus of this arts integrated program was learning, speaking, and processing, the elements of better communication. Twelve teaching artists participated in the program, rotating to the two locations. Visual arts, performing arts, dance, music and mixed media were integrated with stories, plays and multi-cultural activities. Students created their own musical instruments and worked with artists, Misha Rubinstein, Christopher Wanta and Haile Burke to mix their original sounds to recording tracks. The students were amazed at their original compositions. They also learned to create and work with Poi and the science behind circles in Flow Arts with Rubinstein. As a performance art, poi involves swinging tethered weights (also called “poi”) through a variety of rhythmical and geometric patterns. Rubinstein created poi out of socks filled with brown rice. AFTA collaborated with Fuzion Dance Artists to bring a multitude of dancers and dance styles to the students on a weekly basis. 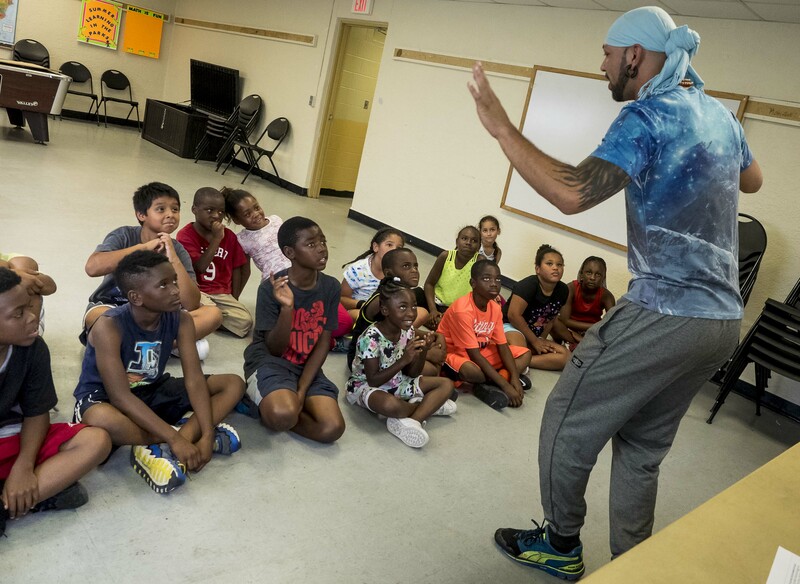 Hip Hop with Rick, “Kid Kinetic,” contemporary dance with Mary Richardson, Latin Jazz with Carolina Garcia Serpa and Brazilian dance with Stephanie Bastos were highlights. Scott Blum, percussionist taught the students rhythm and drumming basics and the importance of working to create a unified sound working in a group setting. Missy Mulloy offered challenging workshops creating “I Am” bags that illustrate the student’s unique personalities as well as focusing on cities, transportation and mural making. Amy Webber, visual artist introduced clay sculpture based on two Doctor Seuss books and also taught Asian brush painting and cultural arts. Judy Levine taught the basics of jewelry design and the students created multi-strand bracelets using pattern variations. She also had the young students create animal visors which they used for character development for story/drama. Gladys Varga, Laura Courter and Mary Kelly used storytelling, props, and books to bring reading alive through dramatization. 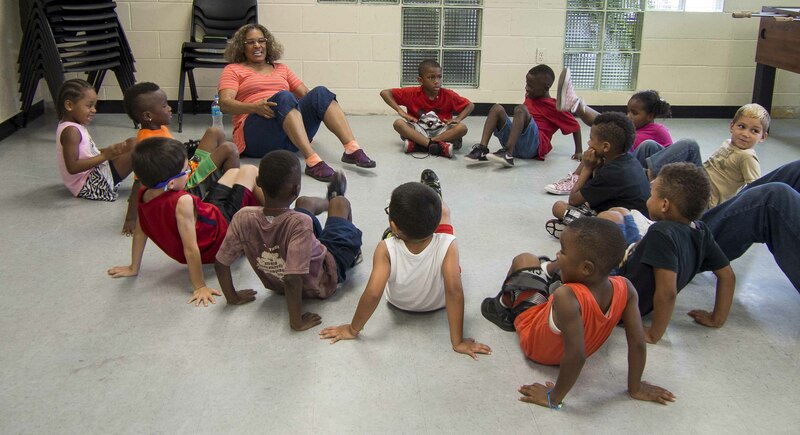 It was an exciting summer program bringing the arts to homeless and under-served children who may not otherwise have access to these art experiences. Read more about Florida Teaching Artists here. Submitted by Mary Kelly-Director and Judy Levine-Co-Director, Association of Florida Teaching Artists.